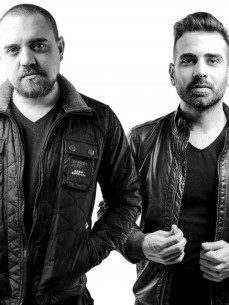 Shant & Clint are also a Grammy Nominated act (2016) getting recognition for their work with singer/songwriter Jes, the guys went in for “Remix Of The Year” putting them in the same category as Bruno Mars, Mark Ronson, Dave Aude, Kaskade and Galantis. As a live act, this duo (Shant & Clint aka Game Chasers) will bring crowds on a massive roller-coaster of emotions, mixing on different styles and genres. Performing with the likes of Avicii, Judge Jules, Kryder, Bobina, Paul Oakenfold, Chris Lake, Andy Moor, Tiesto, Perdo Del Mar, JES, New World Punx (Ferry and Markus), Spencer Tarring and many many more. Also performing in different festivals and venues including the official opening act for Pacha Beirut during the summer tours last year, and touring the world with performances in Amserdam (ADE) Ibiza (Bora Bora) Miami (Intercontinental) Cyprus (Ayia Napa) Seychelles (Mahe) and Beirut (Seven Sisters/The Chill/Bar Nomade). In the studio the boys not only love all that is DANCE, but try and mix and manipulate sounds to bring something new and unique with every beat!